Brave the weather even in everyday life: the Alvra HS Hooded Jacket Men stands out with its high-quality, robust, wind- and waterproof 3-layer Mammut® Dry technology Pro material. It ensures that water vapor is wicked outward but water cannot penetrate. The laser-cut stretch material on the inside of the jacket provides improved ventilation and freedom of movement so that you feel at ease in any situation. 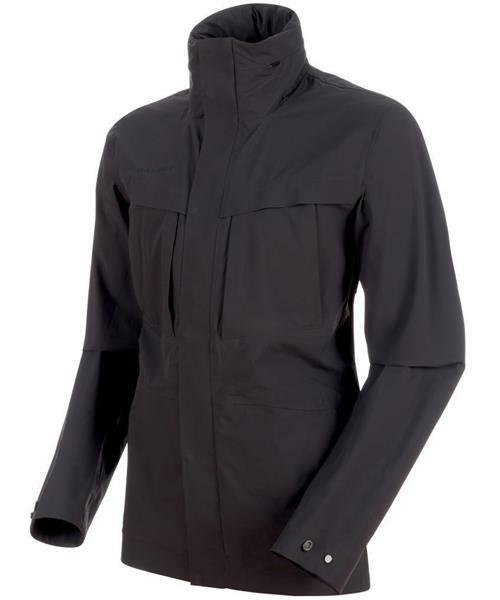 Mammut Easy Combine allows the jacket to be combined with other products so that you are equipped for any weather.